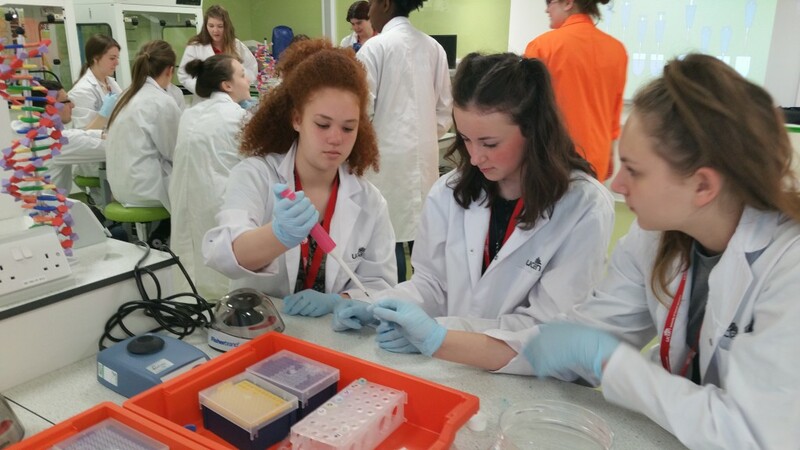 Beamont Collegiate Academy – Leading the way for STEM development across the North West! ‘BCA go above and beyond’ in providing excellence in STEM education. The schools GCSE results in the STEM subjects routinely exceed National averages. 1. Medical, Dental & Veterinary. 2. Digital media, Coding and Enterprise. Each Pathway has a calendar of events throughout the academic year where students have the opportunity to visit current experts in their fields either in industry, research or academic settings. They are given expert sessions with a current practitioner from their pathway who can keep them up to date with current developments and ‘what employers want’. They also get the chance to get hands on with relevant competitions, challenges and projects both in school and at universities and industry. Y10 coders acting as mentors at our Coder Dojo March 2016. Sports Science students working with Physios and dieticians from Manchester City FC at the Etihad stadium Dec 2015. 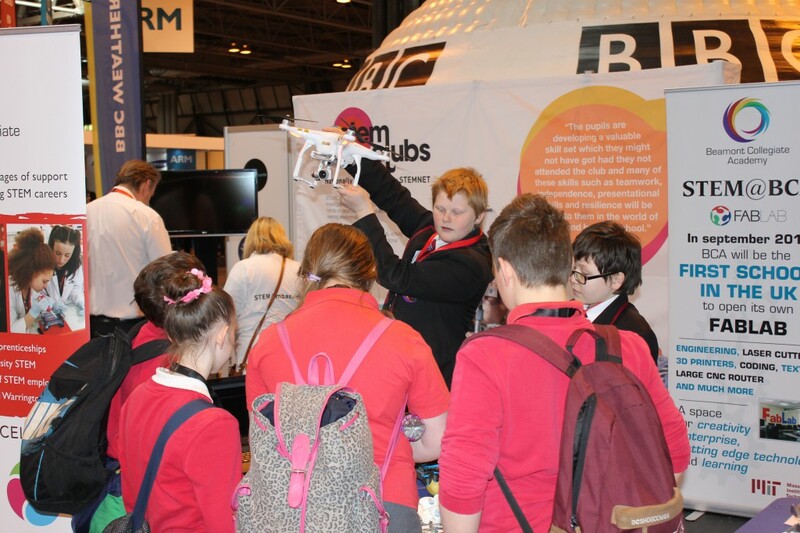 Through our links with a wide range of STEM organisations; NHS, Engineering, veterinary practice, University of Chester engineering, UCLAN, Manchester and Liverpool Universities, Sky media, Microsoft, Coder Dojo amongst numerous others our teachers are constantly exposed to industry changes and developments. This then shapes the teaching and guidance that the teacher can give. We are the STEM Experts! 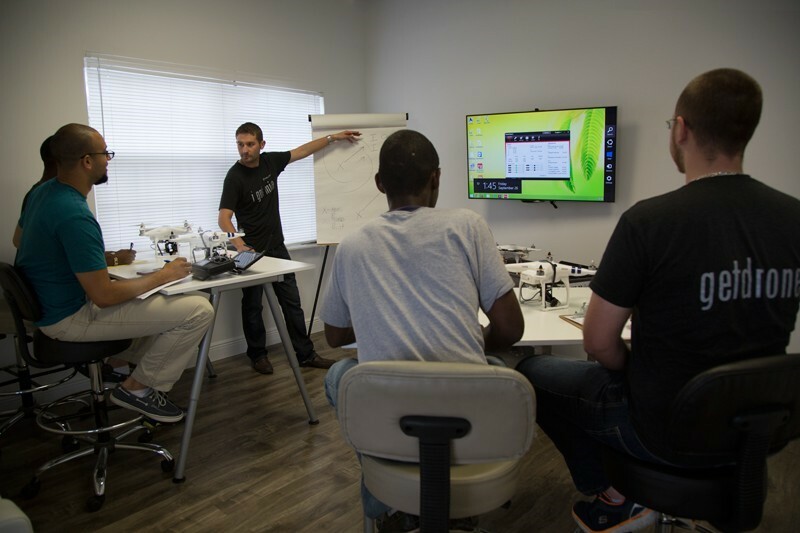 Our collaborations with colleges, universities and employers give our students an advantage because our teachers are acutely aware of where skills shortages are and what our school is doing about it. The excellent practice is used to support other schools through STEM outreach and also by holding ‘ask the expert’ STEM sessions at BCA such as recent STEMhubs on ‘drone technology’ and ‘Coding in the classroom’ enable teachers and industry from across the NW to see how we have developed and implemented new technologies to benefit our students. In a variety of ways we are already a beacon school for STEM provision across the North West.